Home / Celebrities / Happy b’day to my favourite beauty icon! Happy b’day to my favourite beauty icon! Today, a star was born. And 83 years later, we are still copying her style – from the cat’s eye to the fringe bangs that she made so iconic. 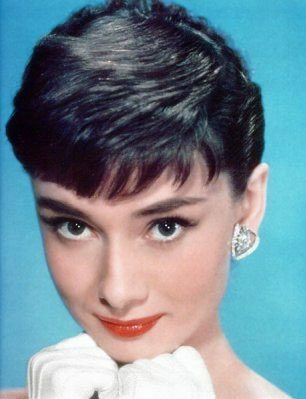 Happy birthday Audrey Hepburn… my one regret is that I never got to meet you in person. First, prep the lids with a creamy concealer, which creates a flawless base and make eyes pop. Leave the eye lids bare, with just a touch of neutral beige-gold shadow if necessary. Then comes the tough part – drawing a perfect line! “This does need some practice – so try a few strokes in your spare time – buts it’s easier than it seems,” says Kapil. The trick, he explains, lies in first drawing the shape with an eye pencil, which is easier to control, then trace over it with liquid or gel liner (the latter dries faster, minimising smudging). Keep cotton buds soaked in makeup remover handy for cleaning up any mistakes. The lower lash line is best left bare, with just a soft brown shadow if your eyes need more definition. Finish with perfectly groomed brows and loads of mascara – look for the thickening, lengthening versions and apply at least two coats. Want more drama? Substitute the black liner with an eye popping turquoise or metallic plum – it the terrific touch of bling for a night out! Any questions? Ask away in the comments box below! I just love the cat eye! Thanks for giving clear directions on how to achieve the look!